I'm pleased to announce that "Parallels and Convergences: Mormon Thought and Engineering Vision" is now available for purchase. In 2009, the Claremont School of Religion, the LDS Council on Mormon Studies and the Mormon Scholars Foundation sponsored the Mormonism and Engineering conference. Richard Bushman (Claremont College Howard W Hunter Chair of Mormon Studies, and author of "Rough Stone Rolling") and Scott Howe (specialist in robotic construction at NASA Jet Propulsion Laboratory) organized the conference, and the Mormon Transhumanist Association assisted with video recording and web site hosting. Several members of the Mormon Transhumanist Association also presented at the conference. The earth will eventually be renewed and receive its paradisiacal glory. But how will our current world ever become the heaven of our dreams? The Lord is already on it; and, as the essays in this book provocatively propose, He’s following good engineering principles. If there is “no such thing as immaterial matter,” and “all spirit is matter,” then what are the implications for such standard theological principles as creation, human progression, free will, transfiguration, resurrection, and immortality? In eleven stimulating essays, Mormon engineers probe gospel possibilities and future vistas dealing with human nature, divine progression, and the earth’s future. Mormon theology leads us to see eternal implications in engineering. Engineers enable us to make the world more comfortable and to perform incredible feats of movement and communication. But their work may go beyond the amelioration of the human condition. The end point of engineering knowledge may be divine knowledge. Mormon theology permits us to think of God and humans as collaborators in bringing to pass the immortality and eternal life of man. Engineers may be preparing the way for humans to act more like gods in managing the world. Kindliness, wise parenting, righteousness, and service are probably more fundamental in leading humans toward eternal life. But improving our physical world fits serves divine purposes, too. In constructing better worlds, engineers may be learning godly skills. From a Latter-day Saint perspective, they may be incipient creators. 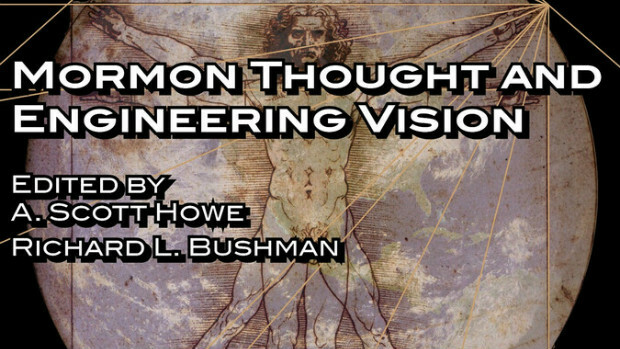 The papers in this volume capture the thought of a group of LDS engineers exploring the interactions of their work and their belief at the beginning of the twenty-first century. Ideally these essays will launch a discussion that will continue for many years to come.